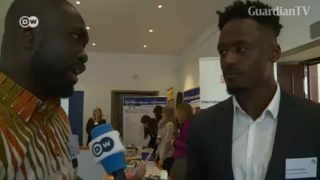 German-African investment. Could we see a future that is more fair? Africa is a continent over-reliant on aid." 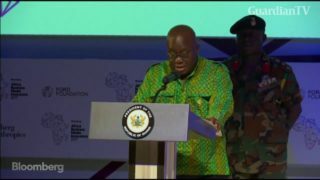 Those were the words of Ghana's president Nana Akufo-Addo at an economic forum in Germany. We asked young Africans if things are changing and if there is hope for a fairer economic relationship between Africa and the West. President Nana Akufo-Addo of Ghana speaks at the Bloomberg Africa Business Media Innovators conference in Ghana’s capital, Accra. 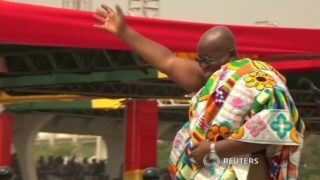 Ghana's new President Nana Akufo-Addo pledged to cut taxes to boost the economy at his swearing in ceremony on Saturday. 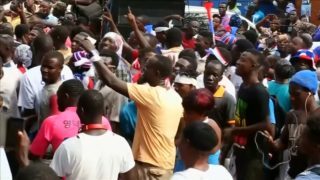 Voters celebrate the news of Ghana's opposition leader Nana Akufo-Addo winning the nation's presidential election and hope the 72-year-old will real genuine economic reform. The electoral commission in Ghana has announced that the opposition leader Nana Akufo-Addo has won the presidential election. 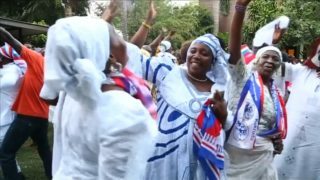 Akufo-Addo has secured almost 54 percent of the votes. 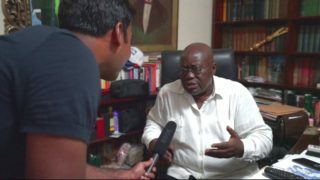 Ghana's opposition leader Nana Akufo-Addo wins outright majority in presidential election, according to the electoral commission. 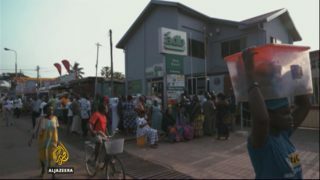 Vote counting has begun in Ghana's presidential and parliamentary elections. President John Mahama is seeking a second term, but he's facing a tight race against the opposition leader Nana Akufo-Addo, who he defeated four years ago. 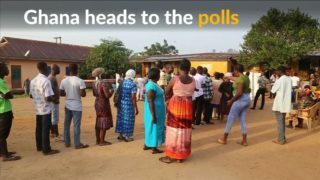 Long lines form at voting stations across Ghana on Wednesday (December 7) as President John Mahama runs for a second term, with opposition leader Nana Akufo-Addo his closest challenger.